As we all know that the Constitution of India came into force on 26 January 1950 replacing the Government of India Act (1935) as the governing document of India. We are celebrating 26th January since then as the Republic Day and this year we are celebrating 66th Republic Day of our country! The main Republic Day celebration is held in the national capital, New Delhi, at the Rajpath before the Hon’ble President of India. On this day, ceremonious parades take place at the Rajpath, which are performed as a tribute to India. 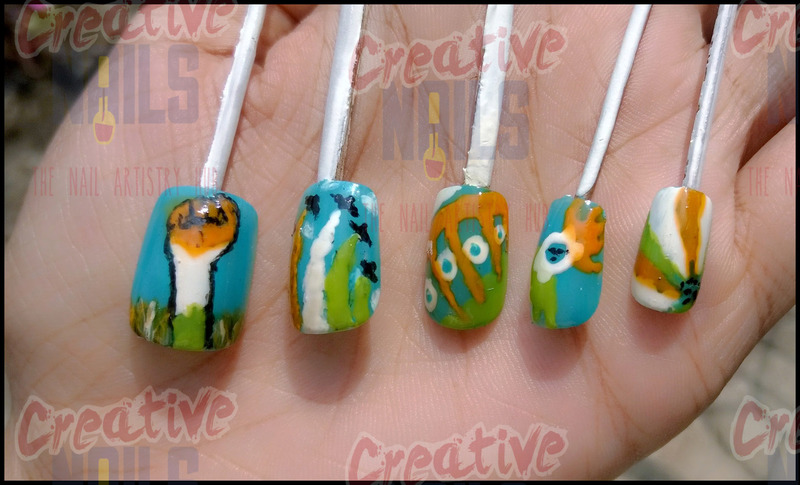 Creative nails also want to celebrate this day and give tribute to India. US President Barack Obama, accepted Indian Prime Minister Narendra Modi’s invite to be the chief guest at India’s 66th Republic Day Parade on January 26, 2015. This is seen as a diplomatic victory for the new NDA government in India. ← Flower on Beads Nail Art!